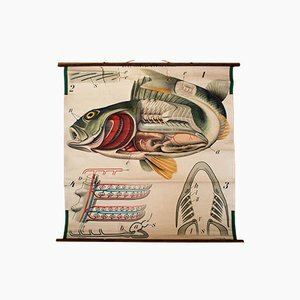 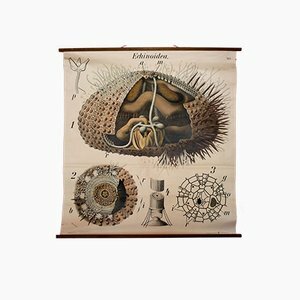 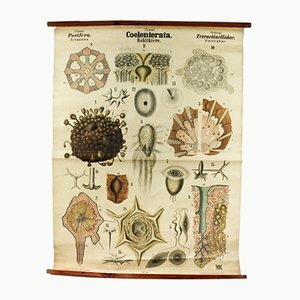 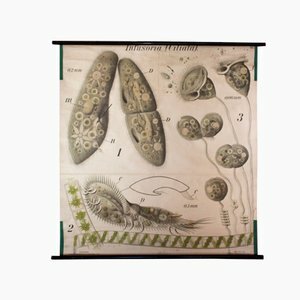 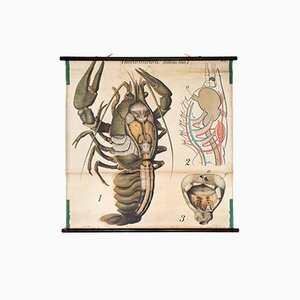 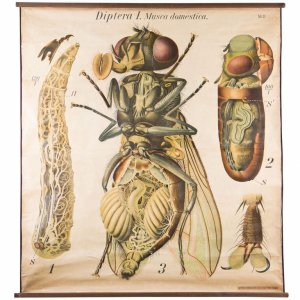 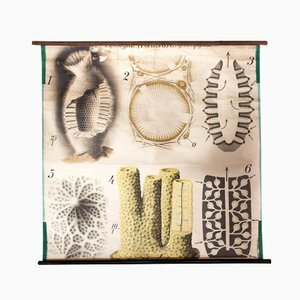 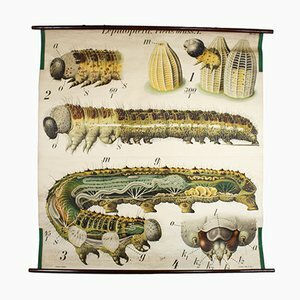 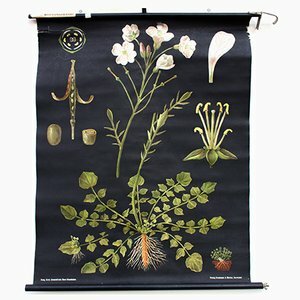 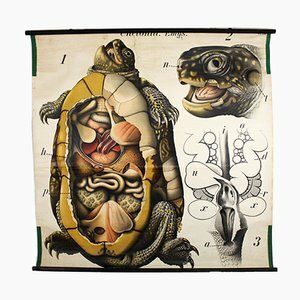 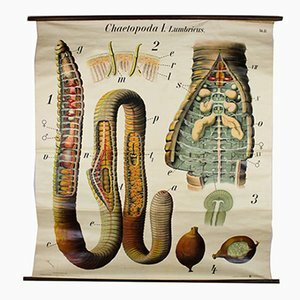 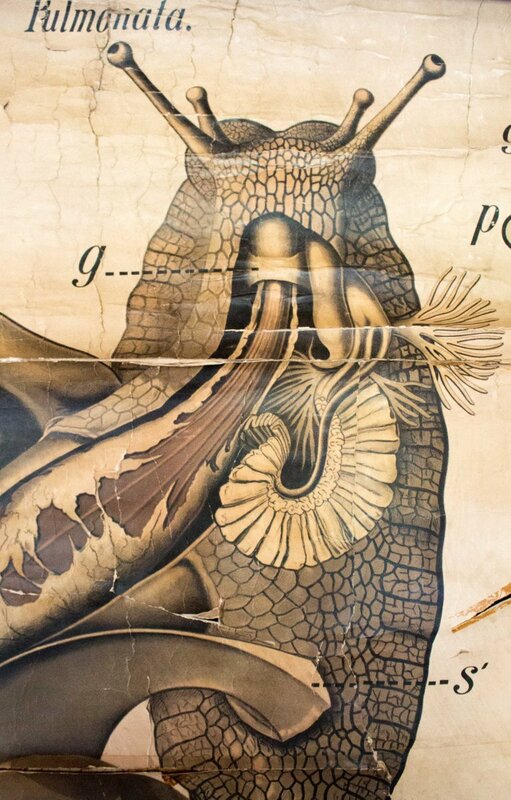 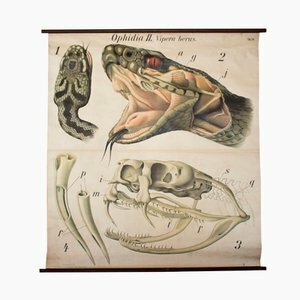 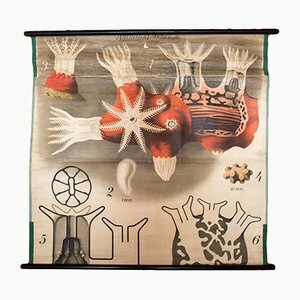 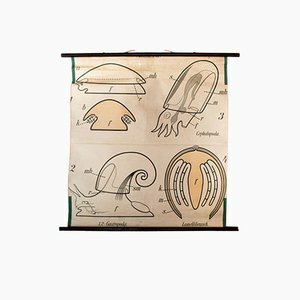 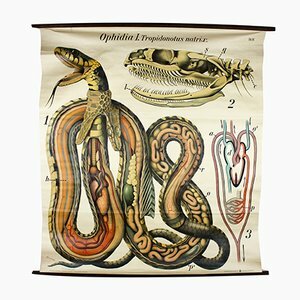 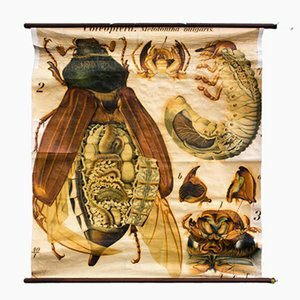 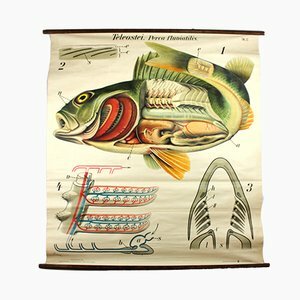 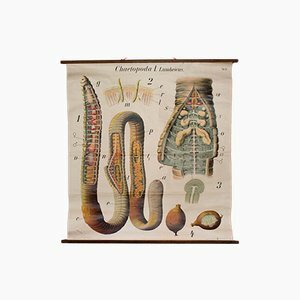 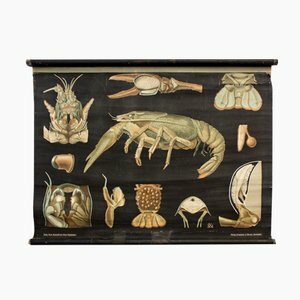 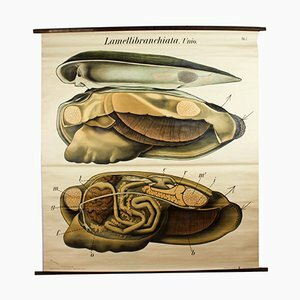 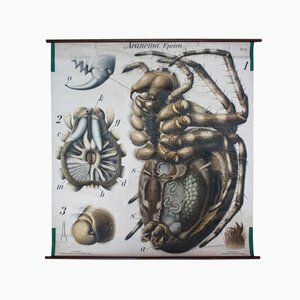 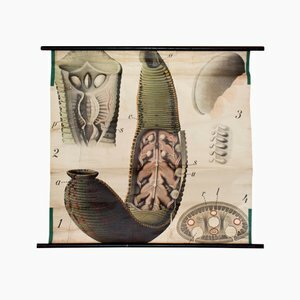 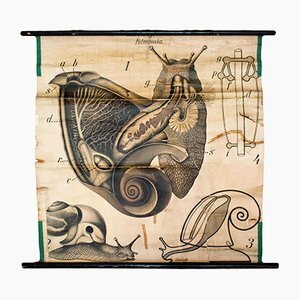 This vintage wall chart of the anatomy of the Slug is a lithograph on two sheets of paper, mounted on canvas. 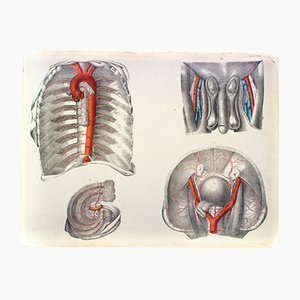 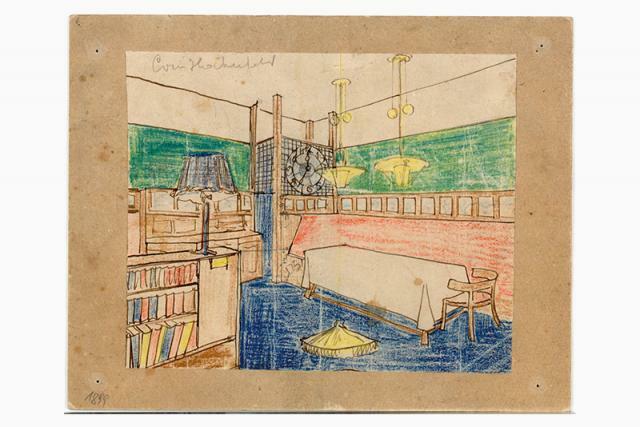 The author and illustrator was Prof. Dr. Paul Pfurtscheller. 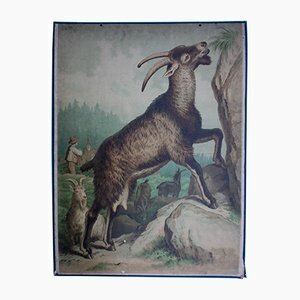 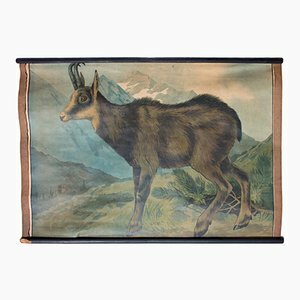 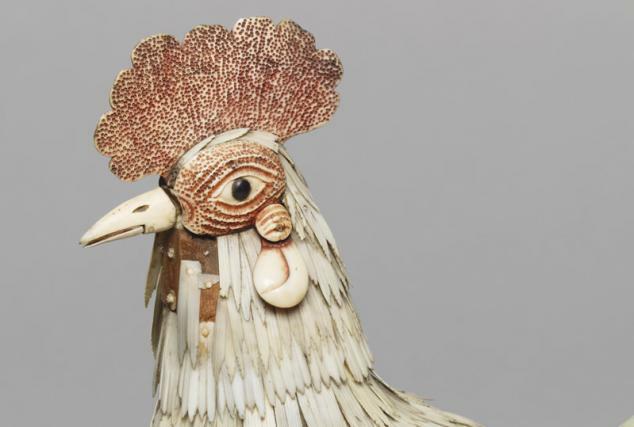 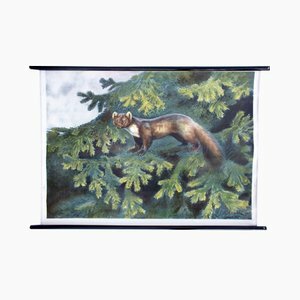 Pfurtscheller (1855-1927), who produced a series of 39 Zoologische Wandtafeln (zoological wall plates) to be used for higher educational purposes. 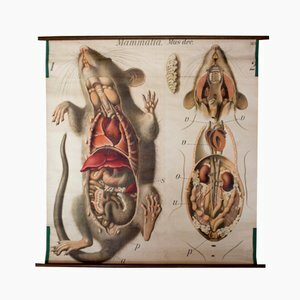 Although he was a high school teacher by training he gained recognition within the scientific community worldwide for this work. 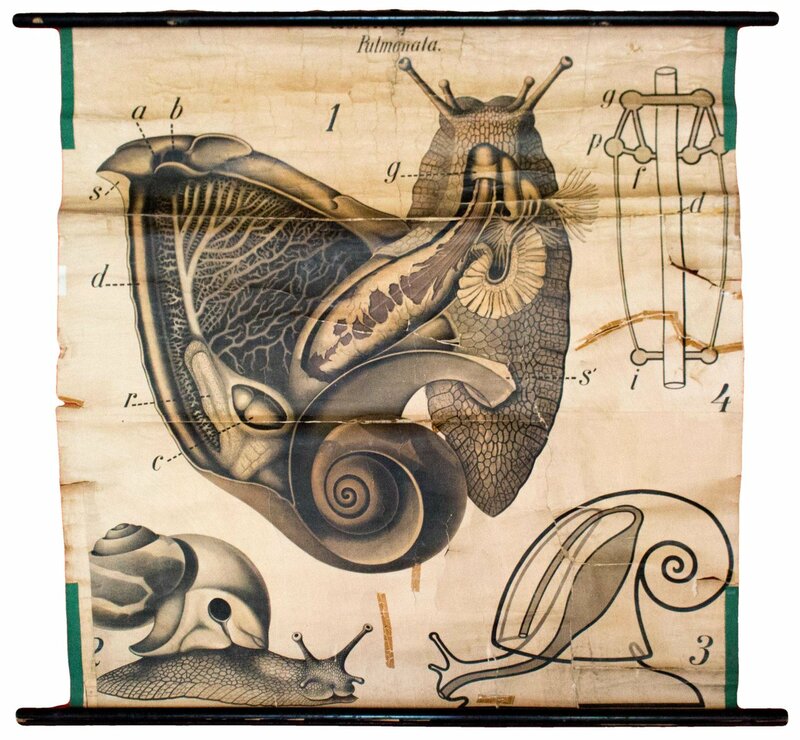 The slug is plate 2 in the series. 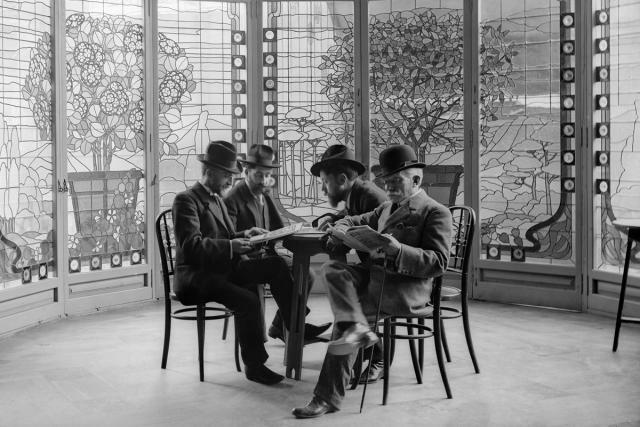 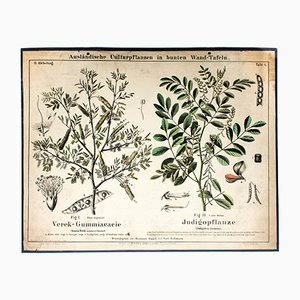 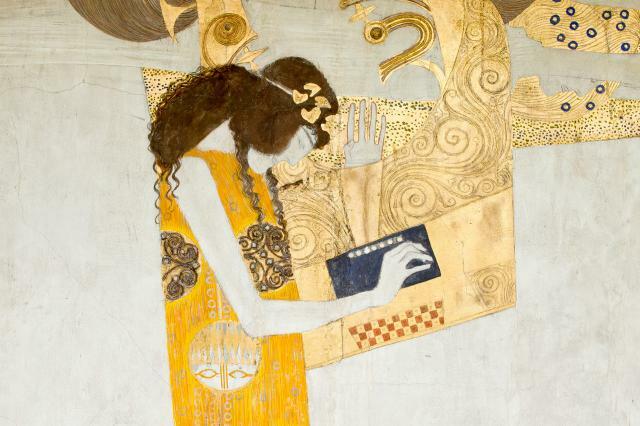 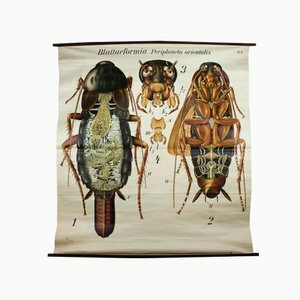 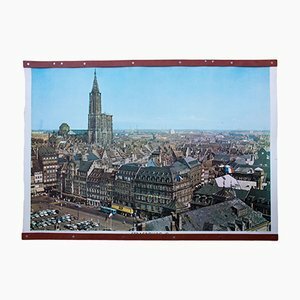 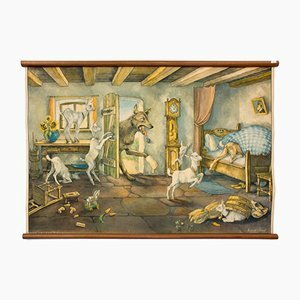 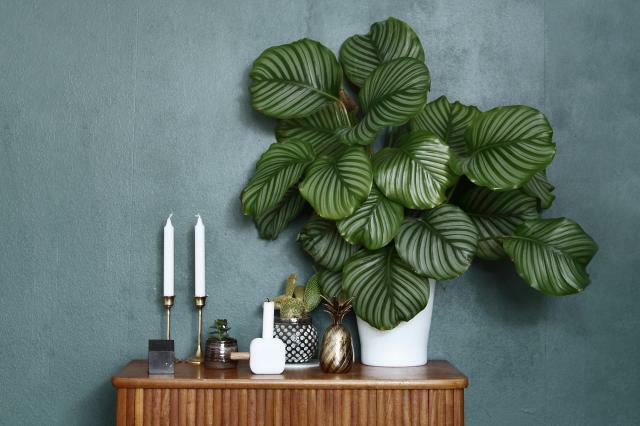 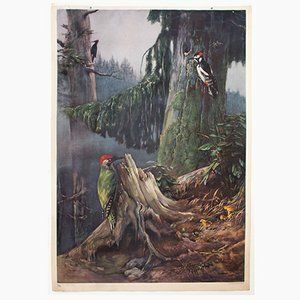 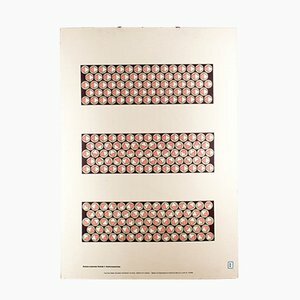 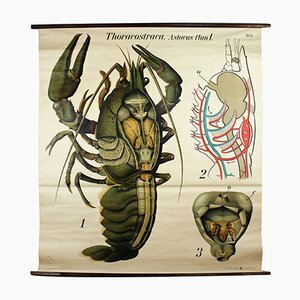 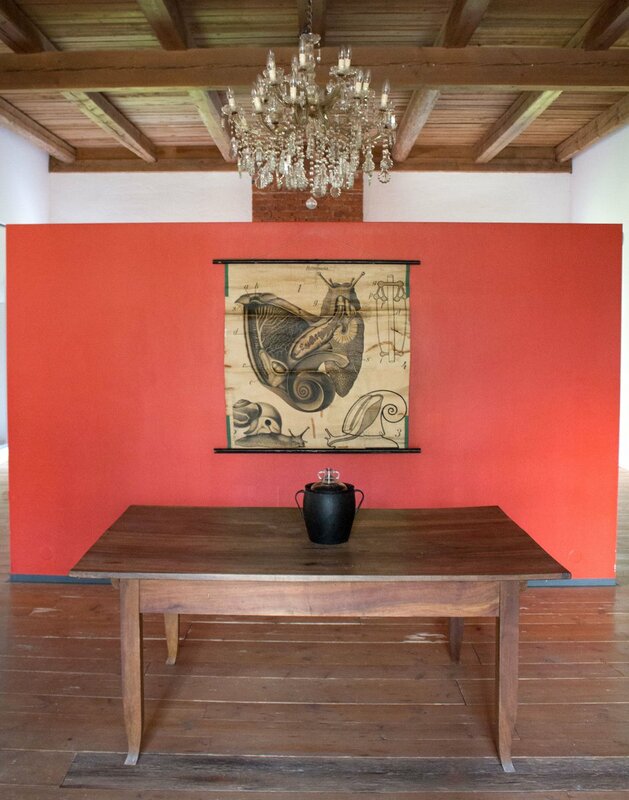 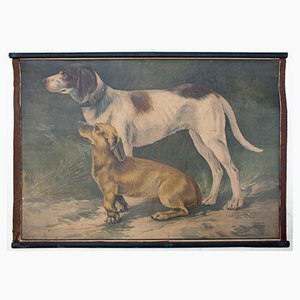 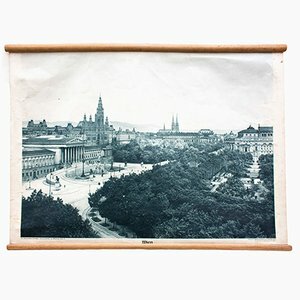 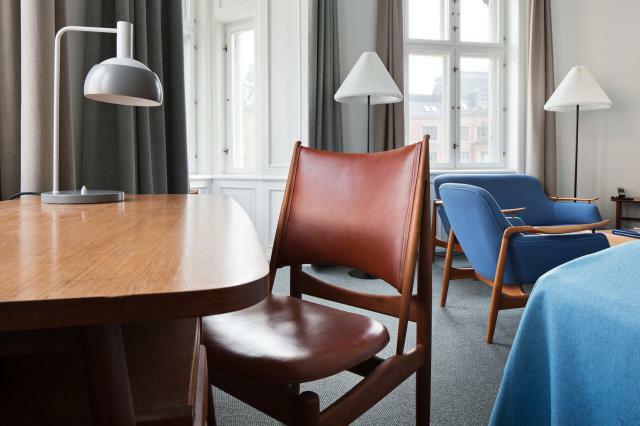 The Pfurtscheller wall charts were first published in Vienna, Austria, in 1902, by A. Pichler's Witwe & Sohn, and later editions were also published by Dutch company Martinus Nijhoff until 1953. 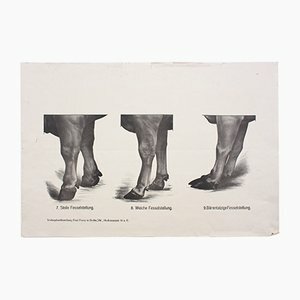 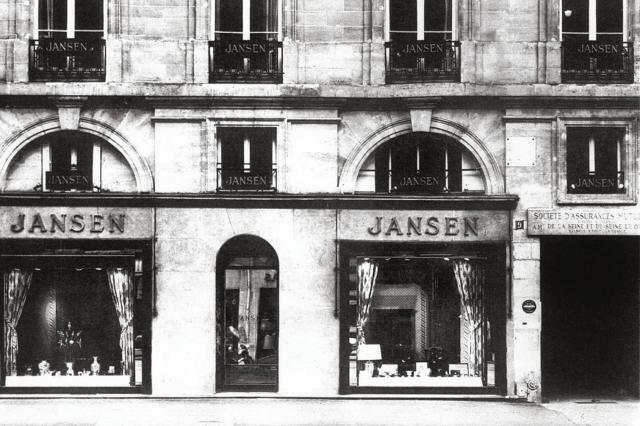 This piece was published by Martinus Nijhoff, presumably in the late 1920s, around 1929, and is still one of the lithographed editions, whereas later editions used offset-printing. 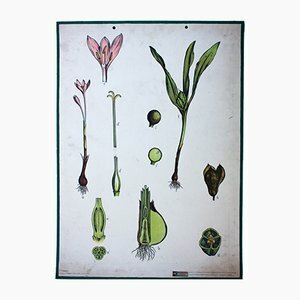 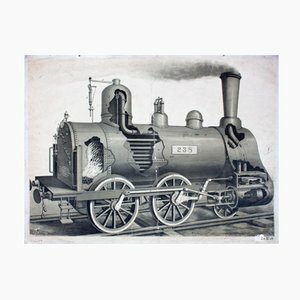 Lithography is an enormously demanding technique - especially at this large scale - which required up to 20 manual print-cycles for a single piece, since each color had to be applied separately. 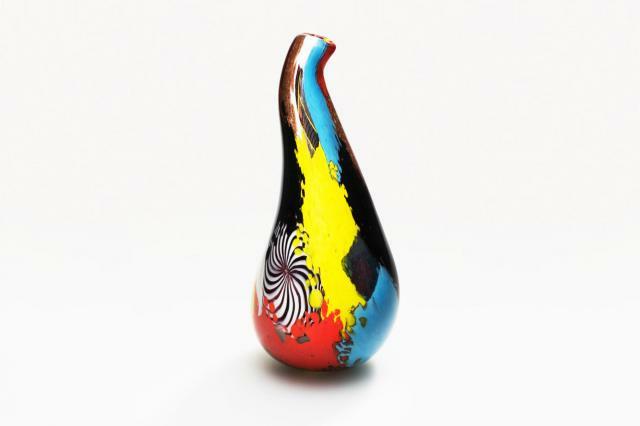 These colors were not supposed to overlap in the end. 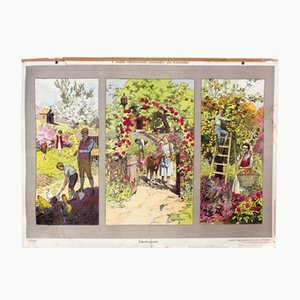 This process is what gives lithographs their extraordinary depth and unusual longevity to their colors.